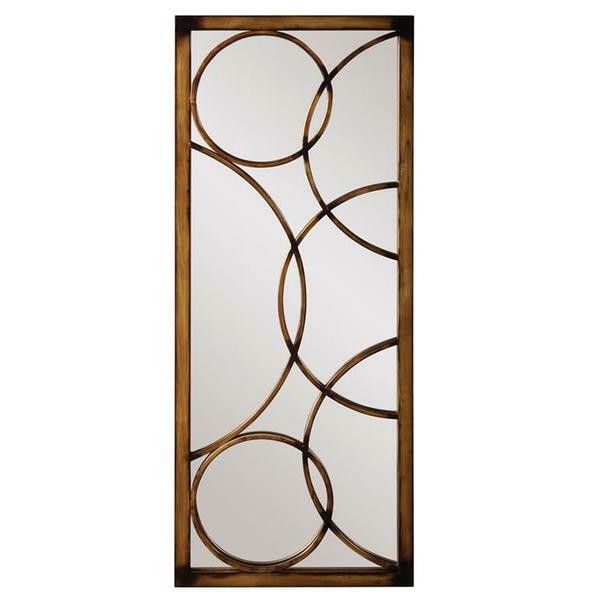 The Baltimore Mirror features a narrow rectangular metal frame that is characterized by its overlapping circular overlays on the mirror. The piece is then finished in a brushed antique bronze. Alone or in multiples, the Baltimore Mirror will beautifully accent your design. Customizable for larger orders.